2009. xxiv + 388 pp. Includes Index. ontos verlag, Frankfurt [now De Gruyter, Berlin]. Biology is a subject concerned with organization of relations. Life is not characterized by its underlying physicochemical structures, but by its entailment relations: what they do, and to what end. In other words, life is not about its material cause, but it is intimately linked to the other three Aristotelian causes, formal, efficient, and final. Robert Rosen, in his 1991 book Life Itself, discusses and answers the question “What are the defining characteristics of a natural system for us to perceive it as being alive?”. His answer, in a nutshell, is that an organism — the term is used to mean an ‘autonomous life form’, i.e., any living system — admits a certain kind of closure that makes it self-sufficient in a relational sense. This is an emphatic statement that we take the view of ‘function dictates structure’ over ‘structure implies function’. Thus relational biology is the operational description of our endeavour, the characteristic name of our approach to our subject of mathematical biology. 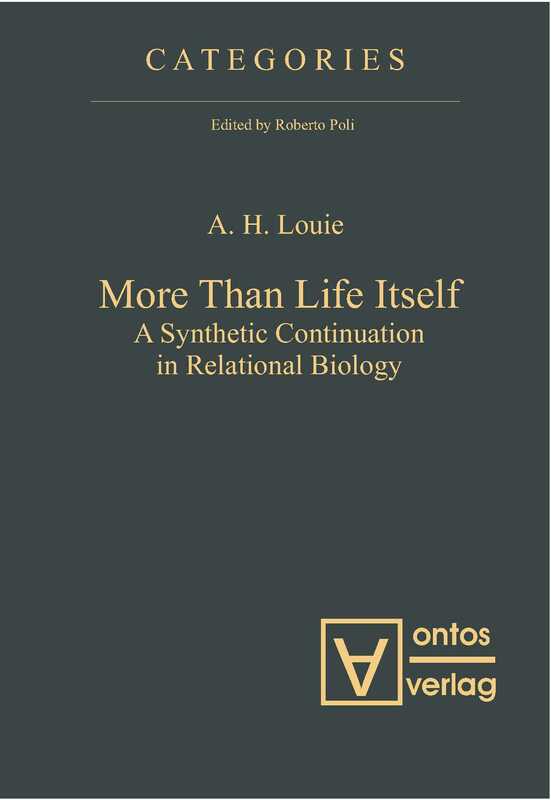 More Than Life Itself represents a synergy of the mathematical theories of categories, lattices, and modelling, and the result is a synthetic biology that provides a characterization of life. On this journey in relational biology, one meets a cast and crew of mathematical and biological characters. They include partially ordered sets, lattices, simu-lations, models, Aristotle’s four causes, graphs, categories, simple and complex systems, anticipatory systems, and Rosen’s metabolism-repair systems. Along the way, Louie recasts Rosen’s theorems from Life Itself on a rigorously mathematical footing, and presents an alternate set of proofs. Organisms are not machines. Life is not a specialization of mech-anism. Life, rather, is an expansive generalization of mechanism. To answer biological questions, it is therefore neither necessary nor sufficient to follow the reductionist strategy derived from the Cartesian metaphor and Newtonian mechanism, which is to break down what is complicated into simpler pieces, understand the pieces themselves, and then reconstruct organisms from this understanding-by-parts. Any question becomes unanswerable if one does not permit oneself a large enough universe to deal with the question. Renouncing mechanism in biology does not mean abandoning science. The failure of reductionism is due to the inability of a small surrogate universe to exhaust the real one. The limits of physicochemical and mechanistic dogma are very examples of the restrictiveness of self-imposed methodologies that fabricate non-existent artificial ‘limitations’ on science and knowledge. 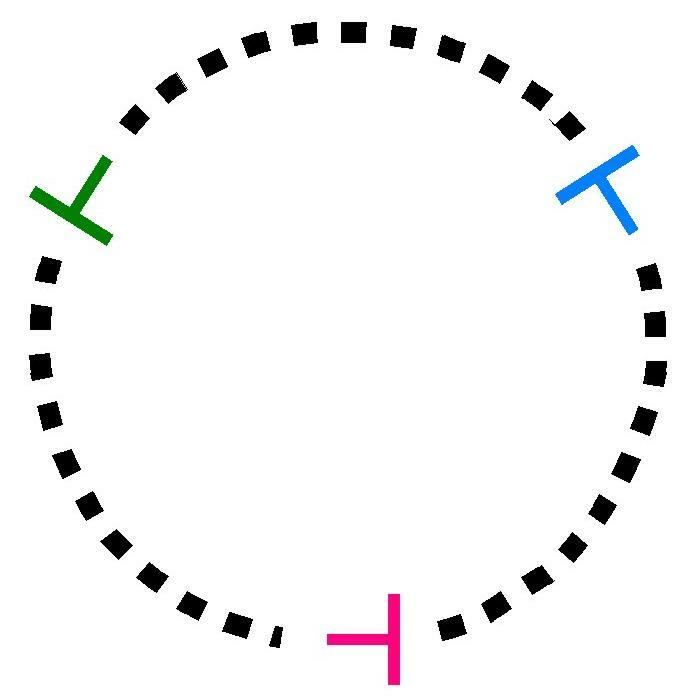 The limitations are due to the nongenericity of the methods and their associated bounded microcosms. One learns something new and fundamental about the universe when it refuses to be exhausted by a posited method. The relational closure of organisms, the answer to Rosen’s epistemological question of distinction of a living system from a nonliving one, also serves as an answer to “What makes a natural system alive?”, the ontogenetic form of the question “What is life?”. Succinctly, the relational closure achieved in the entailment network of a natural system is what generates the living being, what makes a natural system come alive. Axiomathes (Vol. 21 No. 3, 2011) is a special topical issue on this book. Entitled Essays on More Than Life Itself, this issue of the Springer journal comprises four commentary articles and Louie’s responses to these comments.